Like canola — which was selectively bred by a team of researchers in the 1970s and has grown to become a billion-dollar industry for Canada — industrial hemp is primarily grown in the three Prairie Provinces. Also like canola, hemp can be used to produce a cooking oil, as well as edible seeds, protein powders and more. But unlike canola, hemp is a regulated crop and until now any Canadian farmer interested in growing it has been required to undergo a criminal records check. The plant is a member of the cannabis family, and though it contains virtually no THC (the psychoactive ingredient in marijuana) it does contain CBD, a non-intoxicating cannabinoid that was — until recently — illegal without a medical prescription. In fact, for years farmers with licenses to grow industrial hemp have been banned from harvesting any part of the crop except the seeds and stems. The leaves, flowers and buds (the parts of the plant that contain CBD) had to be left in the fields. That changed in August, when the federal government changed its regulations in advance of the new Cannabis Act. Now, hemp farmers are permitted to harvest the “whole plant” and sell it to licensed marijuana producers for the purpose of CBD extraction and sale. The opportunity has growers like Fieldberg excited. Prior to legalization, he and his brother and father had already started a business called Altiva Inc., focusing on growing the market for hemp-based “superfoods.” While they are still involved in the food side, they now see a whole new line of business opening up. Alberta is already the second largest producer of hemp in Canada, after Saskatchewan. In 2017, there were 45,000 acres of hemp grown in the province, out of a total 138,000 acres Canada-wide. According to Health Canada, 325 producers had licenses to grow industrial hemp in Alberta last year. Ted Haney, executive director of the Canadian Hemp Trade Alliance, said that figure is sure to grow. 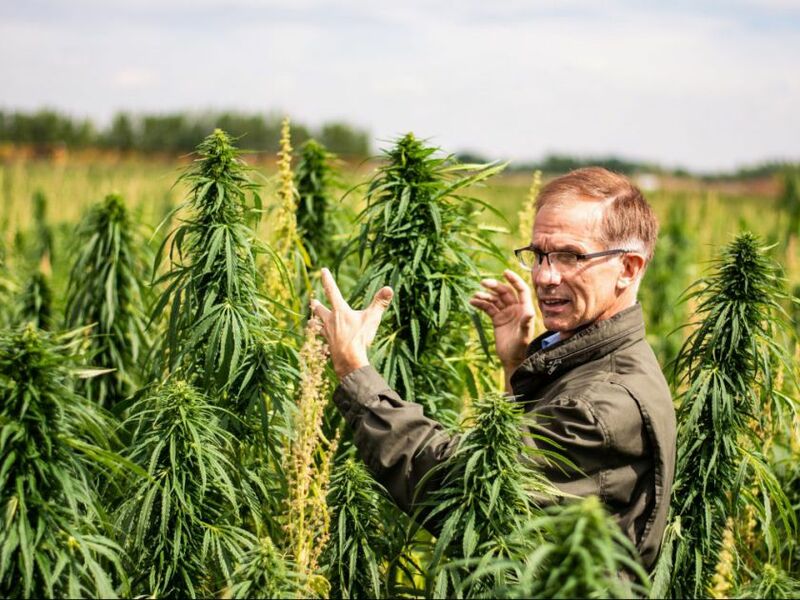 Since legalization, his office has received many calls from farmers with no previous history growing hemp who are interested in CBD’s market potential. The substance is often touted for its perceived medical benefits in treating everything from chronic pain to anxiety and cancer, but analysts also predict a coming boom in demand for CBD-infused consumer products — everything from cosmetics to beverages to health foods. Haney said there is still a lot of regulatory work to be done before that happens. 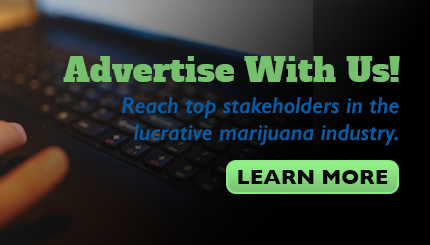 But, already, growers are signing contracts with some of the marijuana industry’s biggest players. Canopy Growth Corp., for example — the first cannabis company in North America to be publicly traded — made a major investment in a hemp processing facility near Yorkton, Sask., earlier this year. “We are hearing reports that even in this year of experimentation, some producers have been able to generate a similar income from sale of chaff (flowers, leaves and buds) that they have from seed,” Haney said. The industry believes the CBD opportunity represents up to $100 million in additional revenue for hemp growers, based on the number of current acres in production. But farmers face a number of hurdles in getting to that figure. For example, while hemp is a relatively easy crop to grow, it is challenging to harvest. “You have to put the stalk through, and it’s like running baler twine through your combine,” Fieldberg said. In addition, most crops contain only one to two per cent CBD, so seed breeding programs aimed at raising that level will be necessary if farmers are to get the most bang for their buck. Finally, there is the question of processing capacity. Currently, farmers looking to sell their harvest for the purpose of CBD extraction need to ensure they have an advance contract lined up with one of the major cannabis companies — however, industry boosters are already trying to attract more processing facilities to Alberta. For example, the city of Medicine Hat — where construction is underway on the Aurora Sun cannabis production facility, which is expected to become the city’s largest private employer when it opens in 2019 — is trying to entice investors to set up an industrial hemp processing facility in the region. “We’re saying to the industry that Medicine Hat is an ideal location for hemp processing, given the crop production that happens all around us,” said Jon Sookocheff, director of business development at Invest Medicine Hat. Sookocheff said there are still many unknowns around the production of hemp specifically for CBD, making it a “high-risk, high-reward” type of investment. But he said the growth in consumer demand is likely to be exponential.